This home made cake recipe is full of pumpkin goodness and perfect for keeping autumn going! Pumpkins are sometimes taken for granted as a carving squash or as an autumn hayride accessory, but they are surprisingly full of health benefits. Their bright orange colour means pumpkins are chock full of beta carotene, which converts to Vitamin A in the body. This, coupled with their high supply of Vitamin C, makes pumpkins an antioxidant powerhouse that is great for preventing various illnesses. Pumpkins are also rich in fibre, which helps keep you feeling full for longer, something everyone needs. 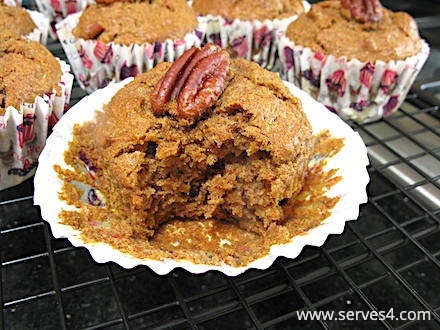 Personally, I do love a good pumpkin pie myself, but my other half isn't so keen, so I have been experimenting with home made cake recipes and came up with this one for muffins. 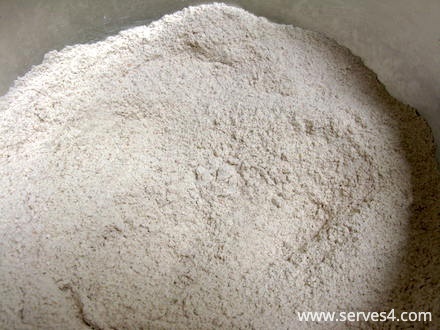 But you can tweak this any way you want, changing the type of flour, omitting nuts or adding dried fruit, baking it into mini muffins or a single loaf, the possibilities are endless! 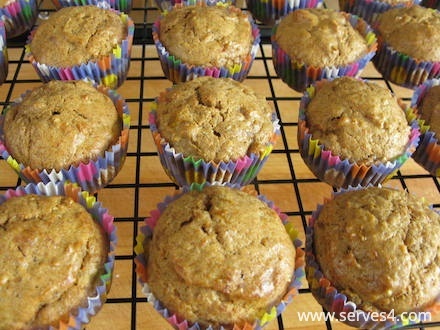 I love the use of spelt flour in this recipe, which lends a nicely dense texture to the muffins, and I have not loaded it up with sugar, so the muffins are nicely spiced without being overly sweet. 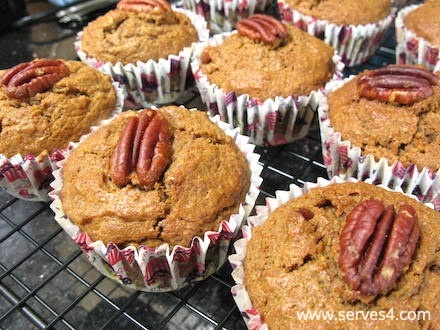 Our household is full of nut fanatics, so it was a no-brainer to throw in some pecan nuts! Perhaps the key to making these fabulous muffins is the boat load of pumpkin puree used, making them healthy, filling and delightfully moist. 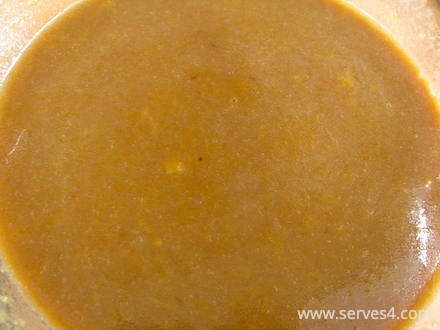 And, as an added bonus, there is no dairy in this recipe, for all you non-dairy eaters. When these muffins are baking in the oven, they fill the house with a lovely spiced aroma that warms up even the chilliest of autumn days and leaves you with a nice cosy feeling. We all love these muffins, and you'd never guess they were made from a vegetable! This home made cake recipe yields approximately 12-14 muffins. Preheat oven to 190C / 170C Fan. Line a 12-hole muffin tin with paper cases, or lightly grease each hole, and set aside. 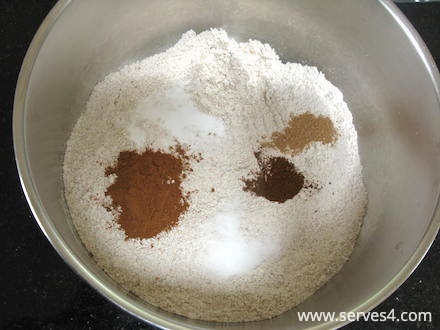 In a large mixing bowl, add the flour, baking soda, cinnamon, nutmeg, cloves and salt, if using. Whisk together until well combined. 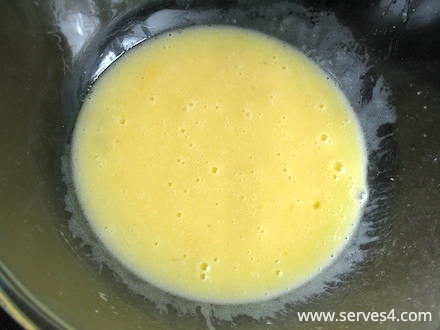 In a separate bowl, beat together the eggs and coconut oil until light in colour. 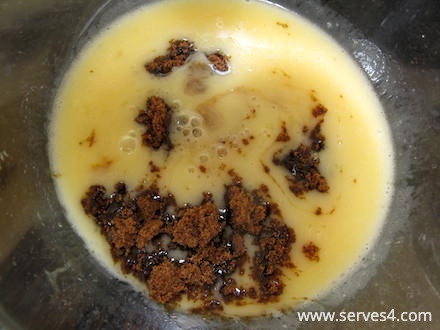 Add the muscovado sugar, and mix well, breaking down any large clumps. 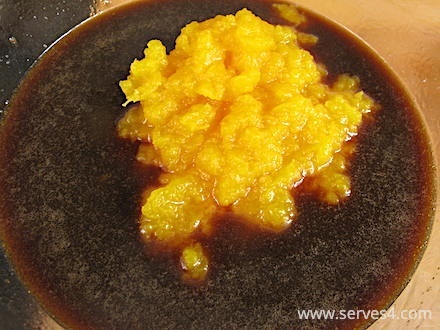 Add the pumpkin puree, and mix well until thoroughly combined. 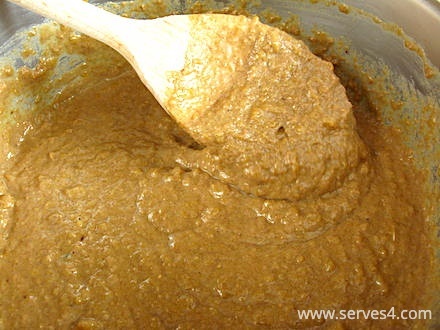 Pour the wet ingredients into the dry ingredients, and mix together with a wooden spoon or rubber spatula until just combined. Do not overmix. 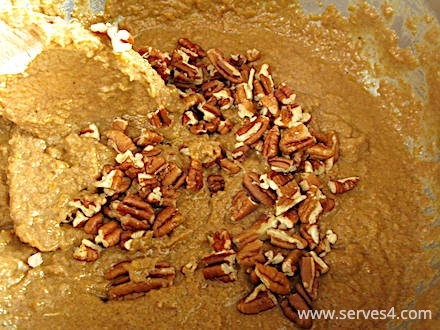 Gently fold in the chopped pecan nuts, if using. Place equal quantities of the mixture into each muffin case - they should be nearly full, so that you get a nice dome at the top of each muffin. 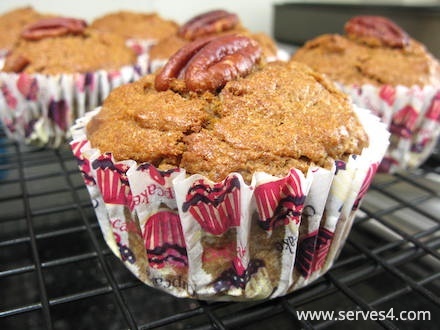 If you are using pecan nuts, place a whole pecan half in the centre of each filled cup to decorate. 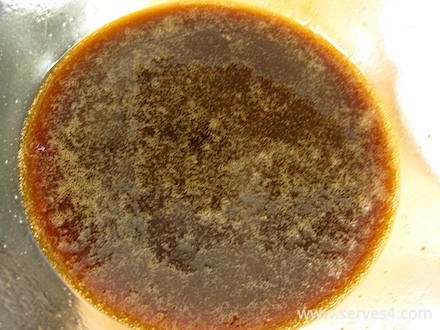 Bake in the preheated oven for about 20-22 minutes, or until a toothpick inserted comes out clean. Cool slightly in the tin before transferring to a wire rack to cool completely. Share with the whole family, and enjoy!